A roller coaster that runs without a fixed track. The train travels freely through a trough. Both wooden and steel bobsled coasters have been built. Bobsled roller coasters do not have a fixed track. The train travels freely through a trough. Bobsled coasters can not reach incredible speeds, because if it does, the car will fly off the trough. Thus, Bobsled coasters are relatively small. The train configuration on a Bobsled coaster. The first real bobsled roller coasters were built in the 1930s and 1940s and were made out of wood. These were known as Flying Turns coasters. None of these remain, with the last being Bobsled at Coney Island, demolished in 1974. The first steel bobsled roller coasters opened in 1984 and were built by Intamin. The following year, Mack Rides introduced their bobsled model. 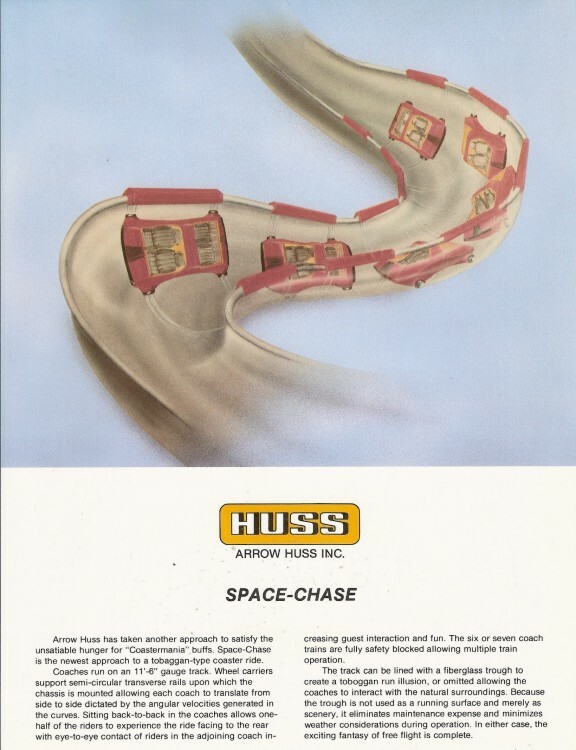 Arrow Dynamics also offered a bobsled roller coaster called the Space-Chase and a prototype was built, but none opened to the public. The idea continued to be popular into the 1990s however no new steel bobsled roller coasters have opened since 2001. Long after the last wooden Bobsled coaster was demolished, Knoebels Amusement Park opened the first modern wooden Flying Turns coaster, Flying Turns. It was originally planned to open in 2007 but was delayed due to multiple issues. It finally opened in 2013. All three RollerCoaster Tycoon games and Thrillvile have Flying Turns and Bobsled coasters available in-game. From Coasterpedia, The Roller Coaster Wiki - 2,506 articles since August 2009. This page was last modified on 15 April 2018, at 21:33.